Thursday, November 15, 2018 by: Isabelle Z. (Natural News) If you tend to only eat cranberries around Thanksgiving and then forget about them for the rest of the year, you are missing out on a powerful fruit that can help prevent not only cancer but many other chronic diseases as well. Here’s why you should learn to enjoy this tart fruit year-round. You’ve probably heard about the many health benefits of blueberries, and cranberries possess very similar properties as they come from the same family of plants. They’re loaded with antioxidants like the resveratrol that makes red wine so good for you. They also contain flavonoids that can neutralize free radicals to prevent illness and the effects of aging. In fact, cranberries possess three classes of flavonoids: flavonol, anthocyanins, and proanthocyanins. These not only support your immune system and cellular health, but they also help your body flush bacteria like E. coli from your urinary tract, which is why cranberry is often recommended for those prone to urinary tract infections. The proanthocyanins also stop bacteria from sticking to the walls of the urinary tract. 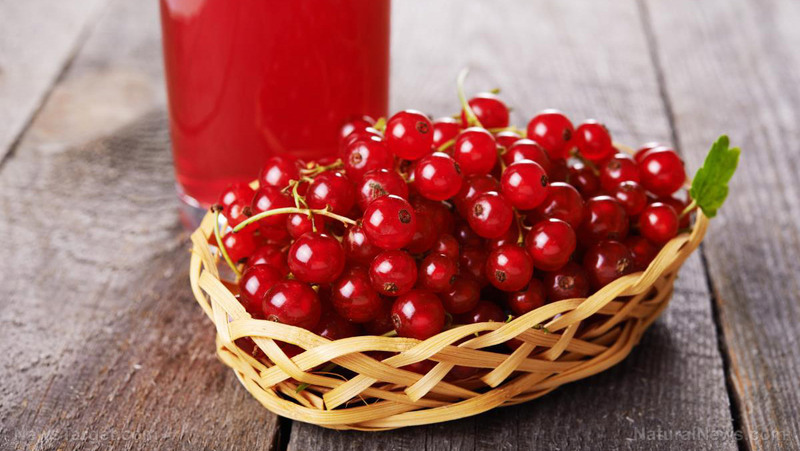 Regularly consuming cranberry juice has been shown to prevent recurring UTIs among pregnant and older women. Another useful nutrient found in cranberries is ursolic acid, which boasts anti-tumor, anti-microbial and anti-inflammatory properties. They also contain salicylic acid, which can prevent blood clots, reduce swelling and eliminate tumors. All of these compounds are responsible for the cranberry’s ability to inhibit several types of cancer, including that of the prostate, breast, lung, intestine, bladder and colon. For example, in a study carried out by researchers from the University of Massachusetts, the chemicals in extract of cranberry were able to selectively destroy colon tumor cells. The researchers then decided to test out the extracts in mice to see if a similar effect would occur. They found that those who consumed a whole fruit powder made from cranberry had half the number of tumors as those who did not have cranberry extracts mixed into their food. The whole cranberry extract also reduced their inflammation markers. The amount they were given was roughly equivalent to a cup of cranberries per day in humans. Flavonoid-rich cranberries have also been shown to lower the aggregation of blood platelets as well as LDL, or bad cholesterol, both of which help prevent the development of cardiovascular disease. At the same time, it can reduce your blood pressure and increase your HDL, or good cholesterol. Cranberries also have a lot of value when it comes to brain health. They’ve shown some promise in preventing several neurological disorders, including Alzheimer’s disease and dementia. They can also help to regulate the acids in your mouth and prevent cavity-causing bacteria from forming. Fresh cranberries will last in the refrigerator for a few months, or you can freeze them for as long as a year. Of course, you’ll want to opt for the organic varieties to avoid pesticide exposure. When you’re buying canned or dried cranberries, be sure to check the ingredient list carefully to ensure it only contains the fruit as many options are loaded with sugar. This is especially important if you are looking to cranberries to enhance your dental health. The same applies to cranberry juice; because cranberries are very tart, many commercial juices are actually blends and may not contain as much cranberry as you think.